So voila! It actually took a lot more yarn than i expected and it was also more difficult to wrap than i expected. All of the straight sections were pie. 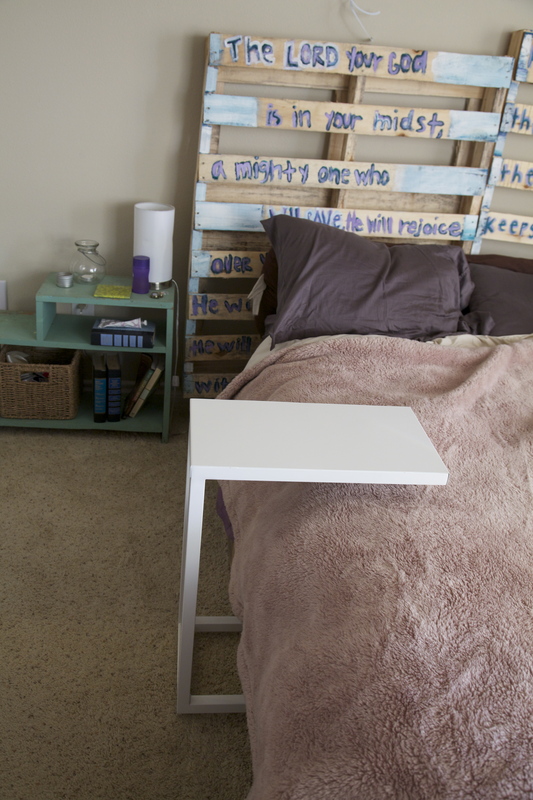 But all of those edges and corners… two words: glue gun. I also tried to wrap them “pretty” instead of looking like i was intoxicated while i did it… or without it looking like it has a grey cast on. Oh, and see that little grey ball of yarn? That is all thats left! 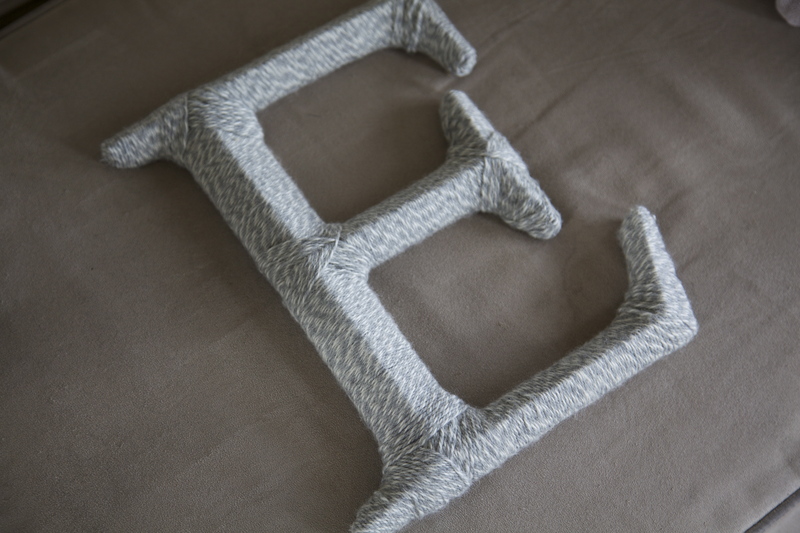 I’d used it for one or two small projects but most of it is wrapped on that there “E”! 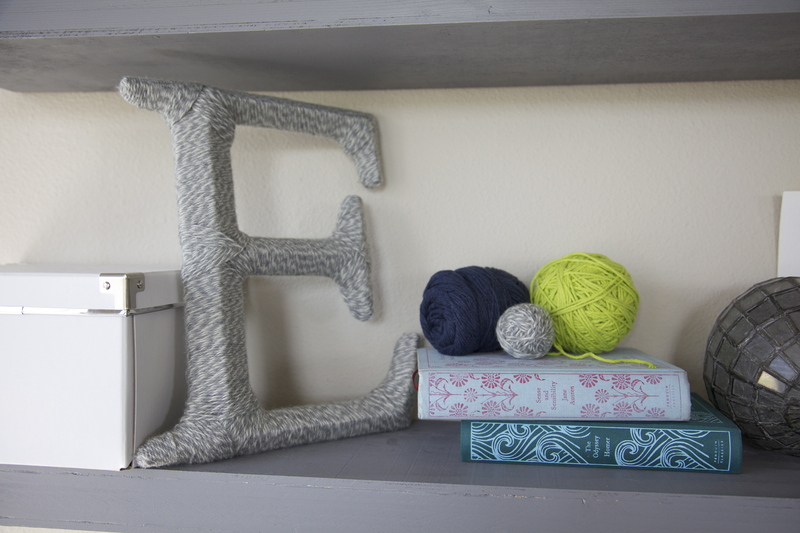 I thought about adding a little crochet flower or some other decor like that but… i like simplicity. I definitely tend to overcomplicate things. Have any projects that have been sitting around for 2 years? Get on that! Hope you like it, Erin!! I honestly can’t remember the last time i actually purchased a piece of furniture new. 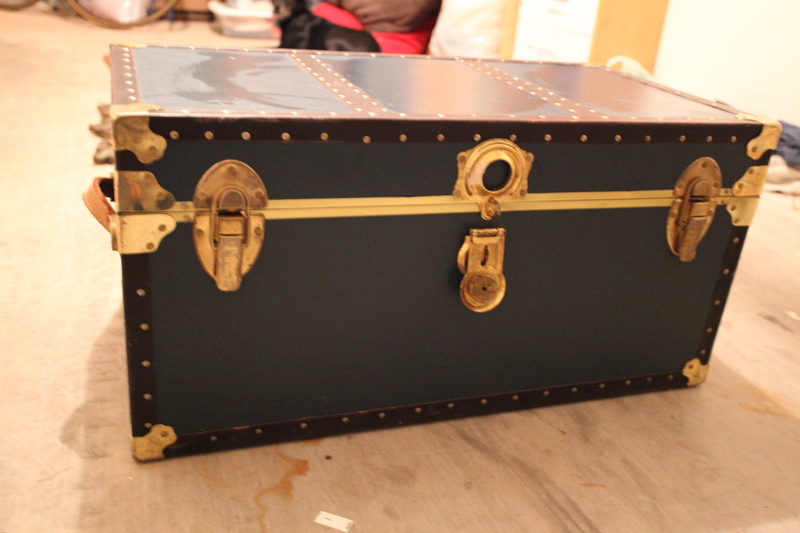 Its all either Craigslist, hand me downs, thrift shops… or I’d just build it myself. 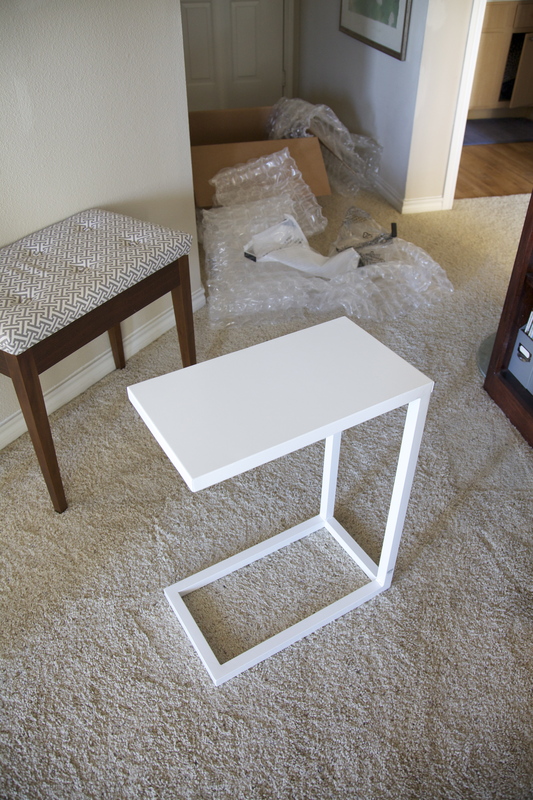 I honestly don’t think I’ve ever bought any furniture brand new… oh wait yea.. last week! We had a few gift cards from the wedding that we never used so we decided to make a little purchase! 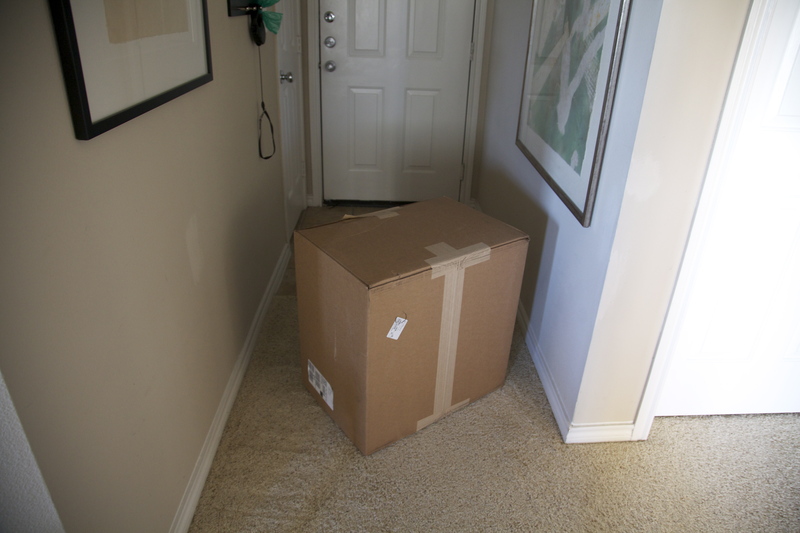 Don’t you just love when huge boxes show up at your doorstep? I’m super impressed with the quality of it and the stability. Putting a lot of weight on the end of the table doesn’t make it bow whatsoever. Completely solid. Love it. And it also comes in grey, green and blue! We really loved the grey but the color looked almost red so i just didnt trust a brownish grey photo online. I’m sure it looks great in person but i just didnt want to deal with shipping it back. Always such a pain. So we went with white! I think its perfect since the couch is so dark, it really brightens things up. Have you made any fun home purchases lately? New furniture? 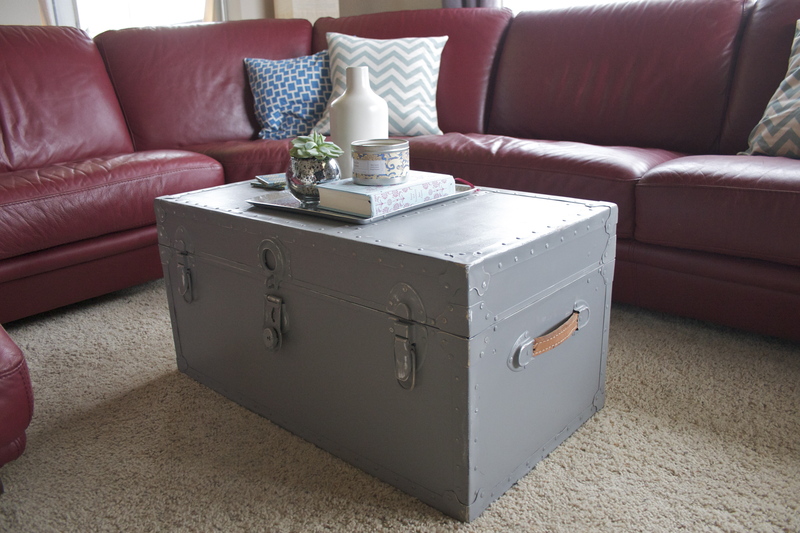 If you read my last post, you know that i hate filing cabinets and also that i decided to turn this vintage trunk into a filing cabinet and coffee table. The trick is to do multiple THIN layers. Lay it on thick and you’ll get lots of bubbles and drips. Eww. So here it is after 2 thin layers. 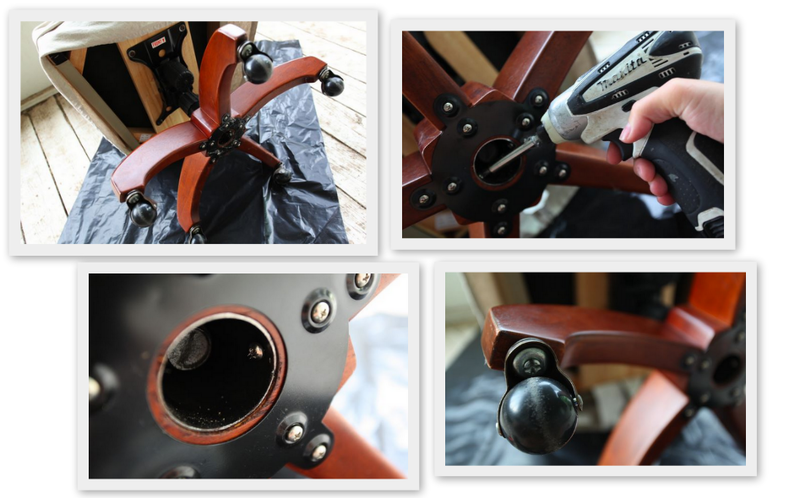 You can see why you need an angled paintbrush… to get in all the nooks and crannies. 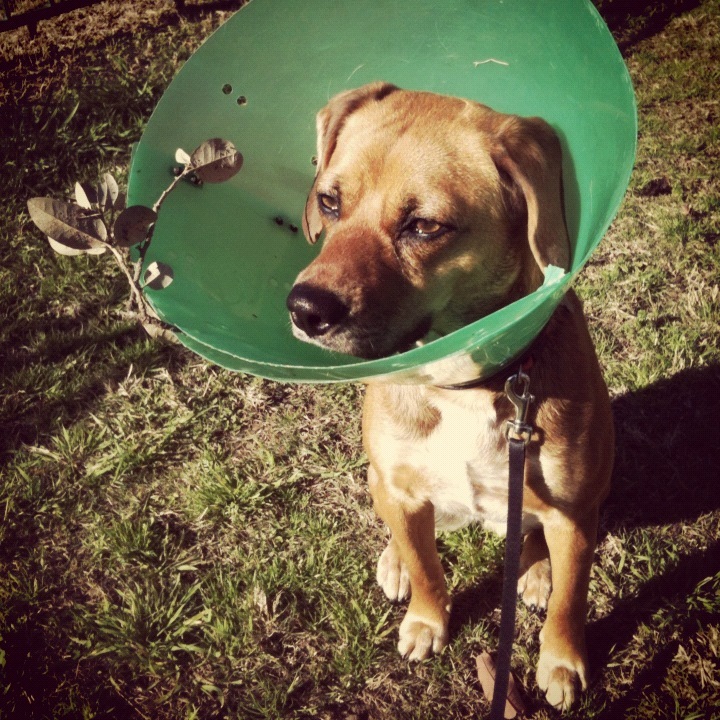 And yes, that is a tree branch stuck in the cone. Awesome. Anyway, Kenny walked to the kitchen for seconds (because im the best cook there is) and he started freaking out and yelling for me to come over. Mags had knocked over the entire can of paint onto the paint drop cloth. 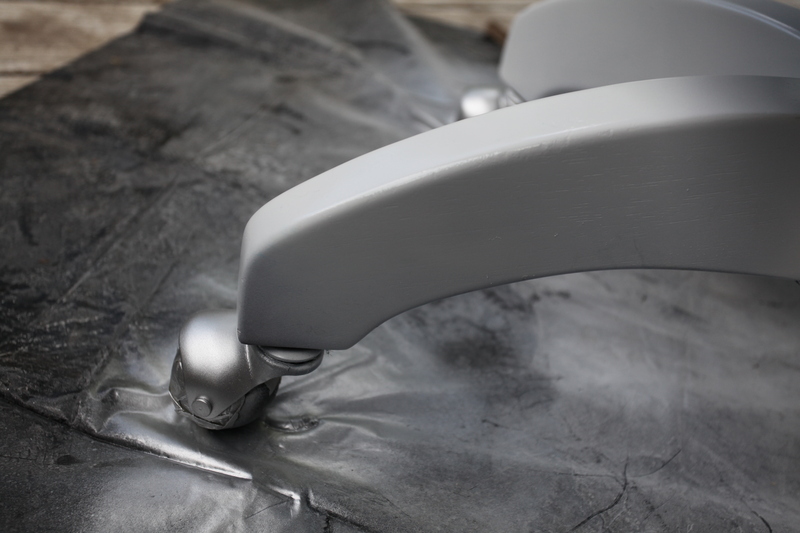 Thankfully it wasnt directly onto the carpet… but the drop cloth is meant for drips. Not an entire quart. 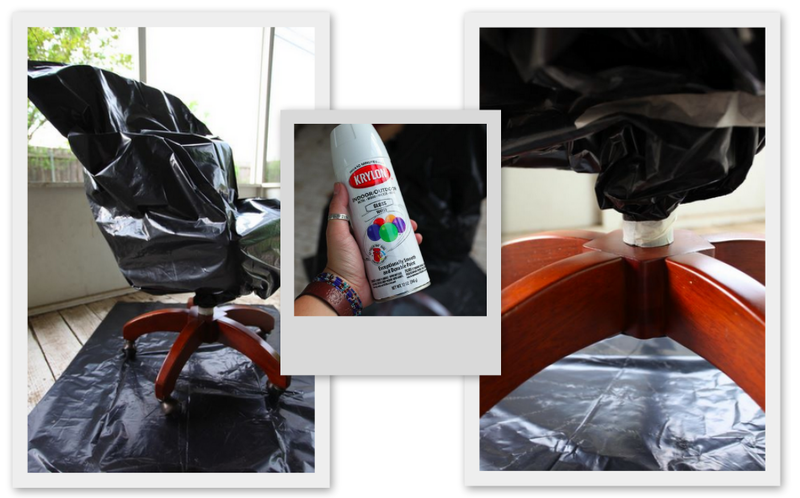 So i dive to the ground and lift the drop cloth off the ground trying to keep the paint from soaking into the carpet while kenny grabbed a plastic trashbag to put in between it and the carpet (good thinking, hubs!) He then took the trunk off, and wrapped up the drop cloth and threw it on the porch (getting paint all over the porch carpet and pavement). 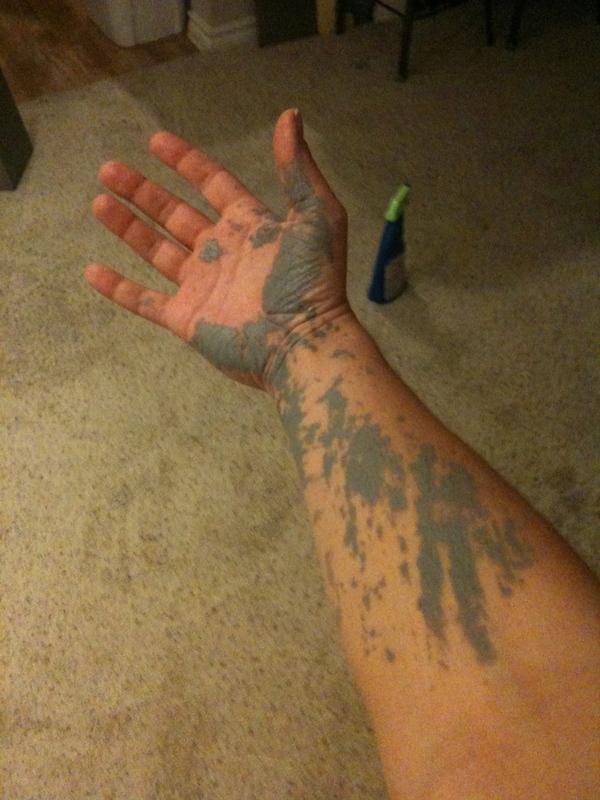 Here is my arm after i had it under the drop cloth trying to avoid getting paint all over the carpet. We then used up an entire roll of paper towel trying to get the paint off the carpet. Miraculously, the spot is actually behind my arm. Where you might ask? I dont know. We should be professional carpet cleaners. We got maybe 98% of it up! Crazy right? Moral of the story… A. Seal your paint when you’re done painting. B. Dont paint in your living room. C. Dont own a clumsy dog. Here she is after a little sanding. 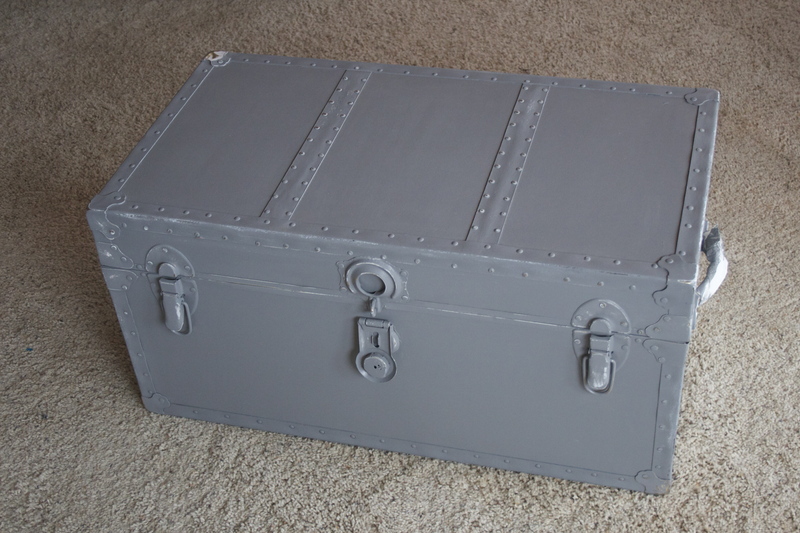 I wanted a little more dimension and character so i sanded all the edges, made all the bolts shine a little bit. Some of the white underpaint showed up too which had a cool effect. 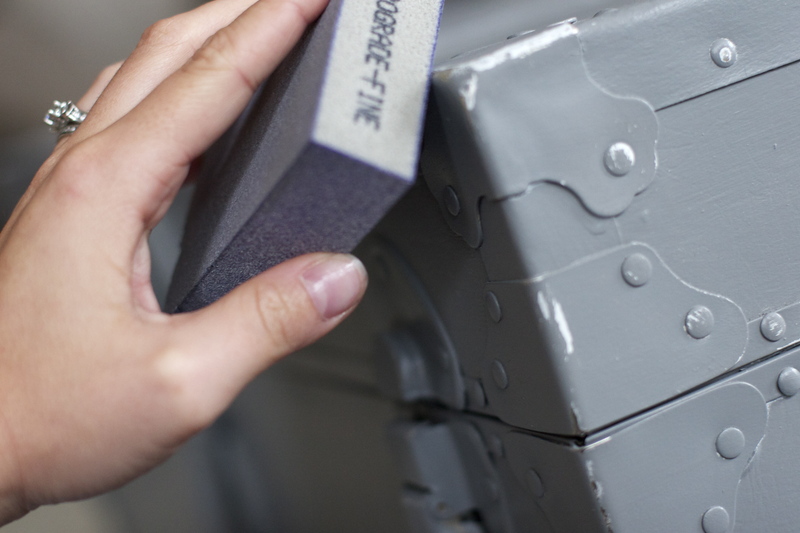 For sanding, its best to use a foam sanding block with a fine grain. I used a 220 grit block which just makes it just look more natural. If you use 60 grit for example it will just damage the piece and it will obviously be sanded instead of a more natural “over time” look. Heres the edge detail. You can see the white under paint and the metal as well. Love that effect! 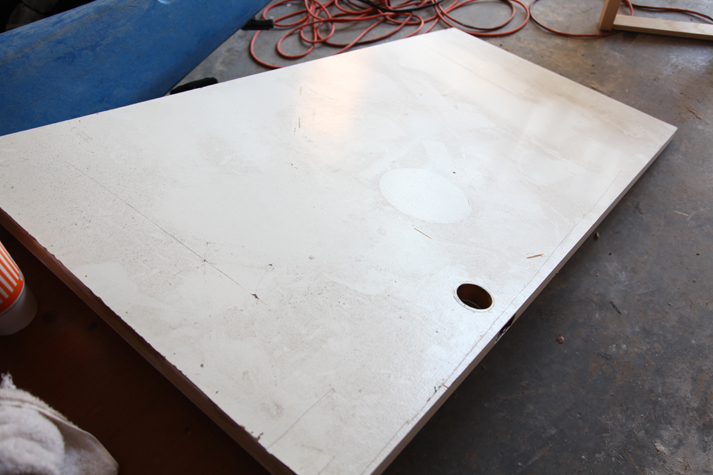 Once i was done sanding, I decided to go with the minwax finish because its going to be a coffee table. High traffic = lots of paint coming off if you dont. So i did. Threw on three layers on the top for good measure. I chose a semi gloss but you can choose a Satin or a high gloss. It starts off looking almost yellow but it dries completely clear. 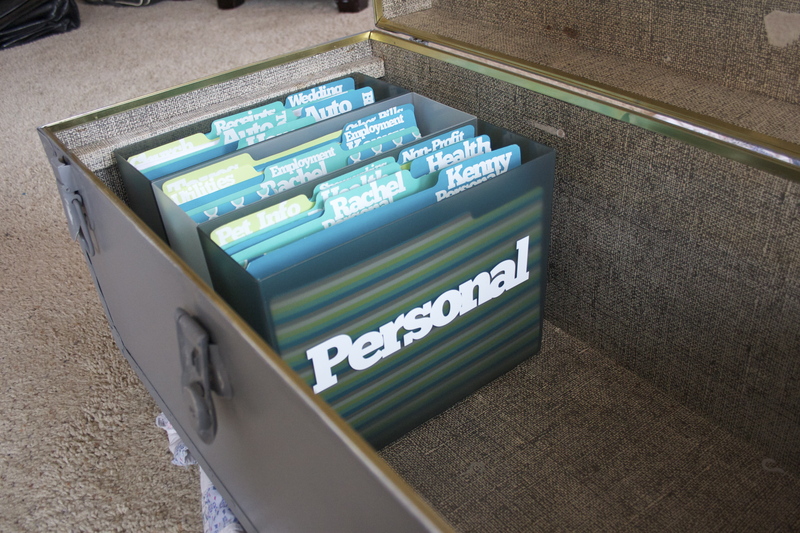 Here she is open up with my new file organization. I’ll post soon all about what i did with the files. 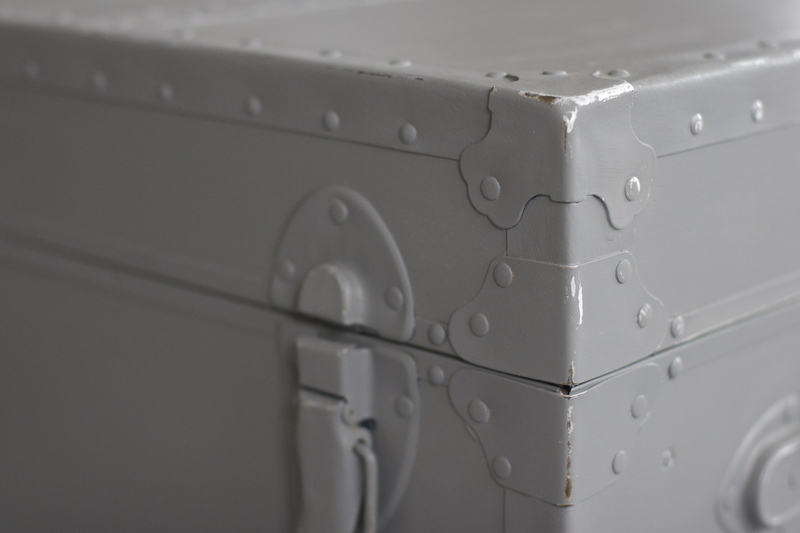 As far as the plan for the interior, if it was in better shape, I’d love to keep it as is – it has a great texture and a vintage feel to it, but it has sections missing, stains, etc. We could definitely throw a cork board in the lid which would cover up most of the stains, but I’ll definitely let you know when we decide! 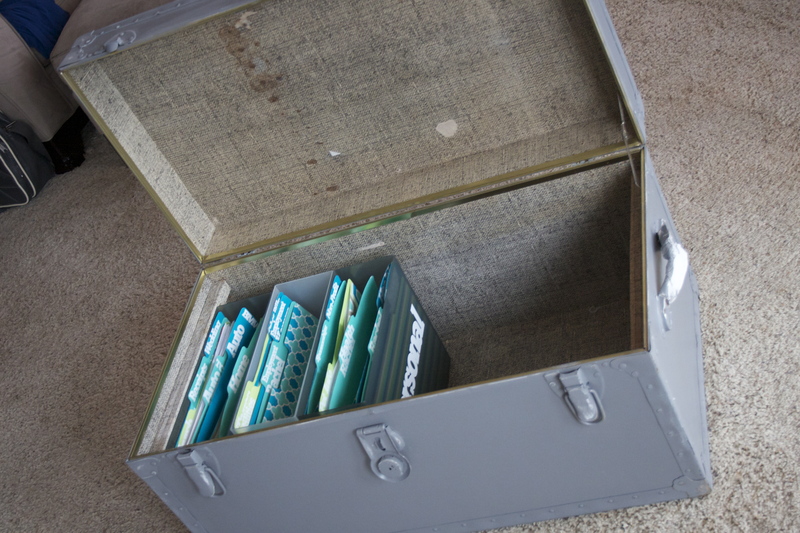 Theres also a trey that goes on the inside that can hold remote controls, still that needs to be filed, etc. See? 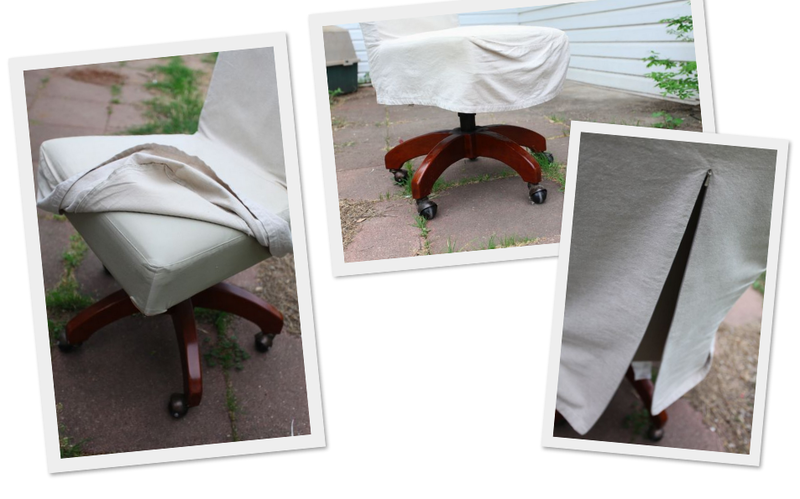 How cool is that white/brown linen texture? 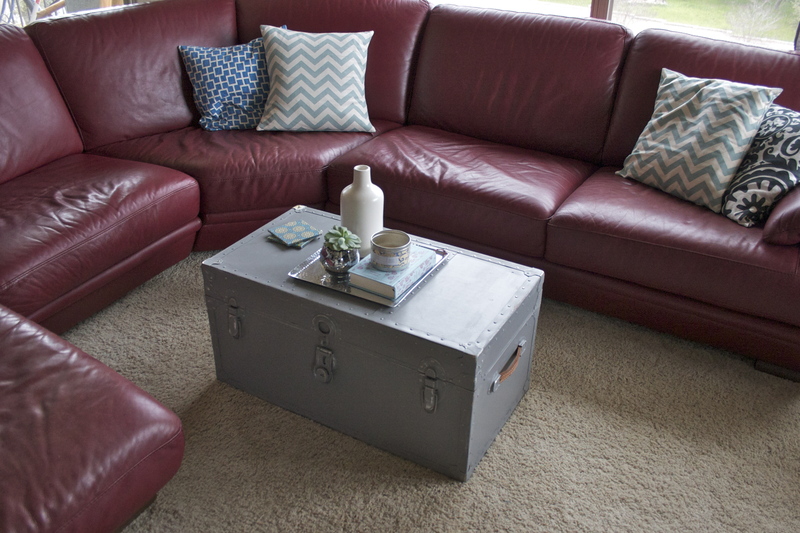 And here she is as our fancy new coffee table! Have you ever seen a more beautiful filing cabinet? 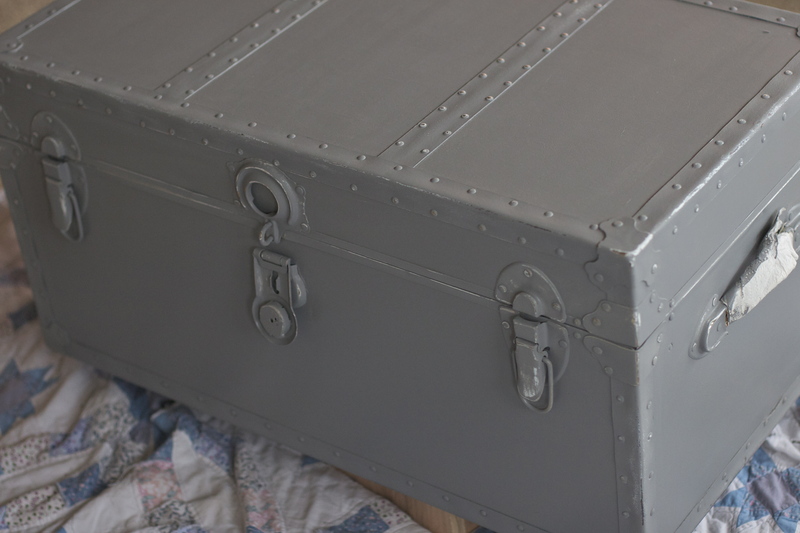 The other great thing is, if we decided to use something else as a filing cabinet later, we can jut use this to hold the 57 blankets that we have hiding behind the couch. Hey, i get cold very easily, ok? I am definitely loving it, the grey really helps balance out all the other crazy colors in the room. In this last shot you can see the door knob hole where i run the cables through. I initially thought I’d put the desk against the wall so i didn’t expect to need to fill the latch hole but I’m definitely going to have to do a quick fix! 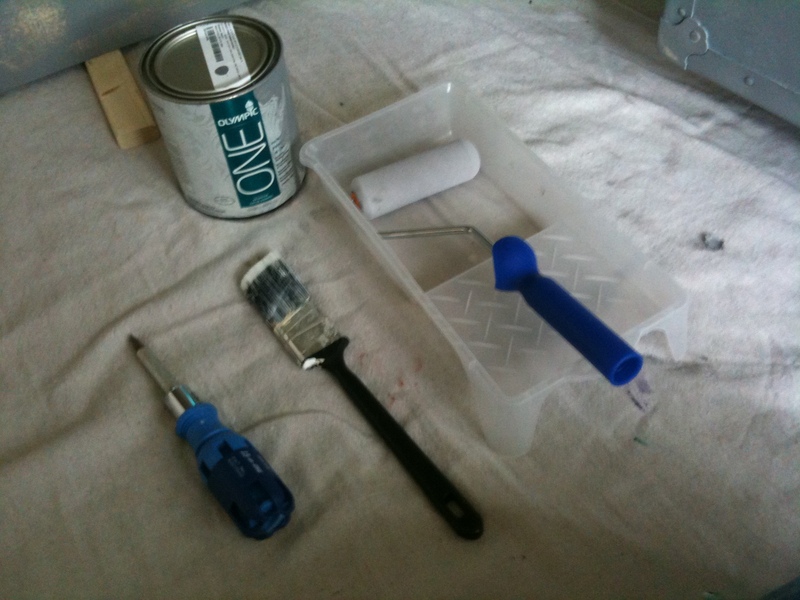 I will post soon my how-to on the paint! If you want to read about the building process go here, here and here! Also, (drum roll please) the main reason why I’ve been so determined to get my office up and running: starting friday at 6pm I am officially a full time freelance artist! I semi blame this book for gettin the fire started… read it at your own risk… four months later you might end up quitting your job too! 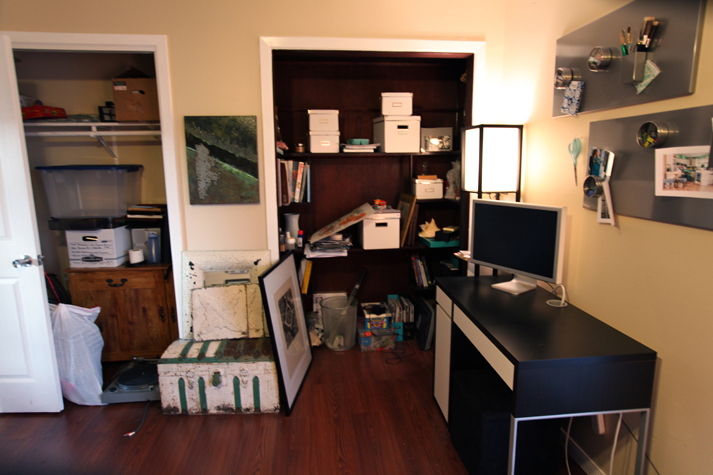 Operation organize studio is almost done! woot woot! 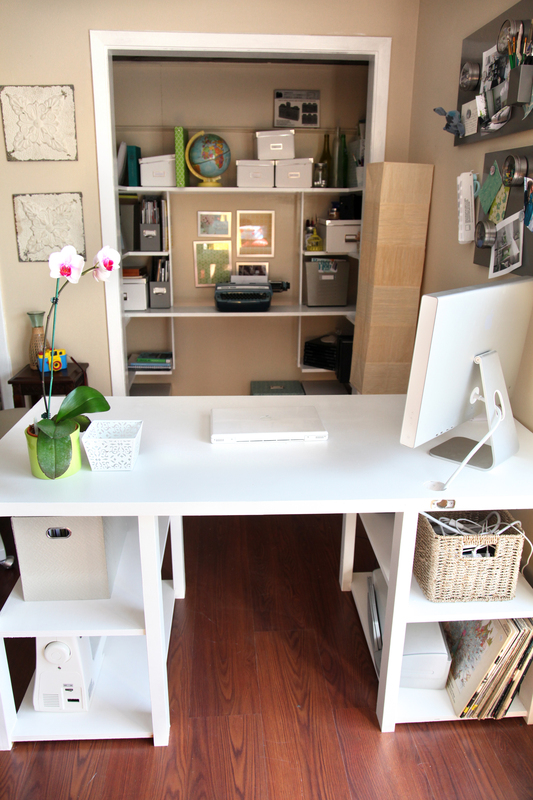 Super stoked about that one… i’d love to just work from home all the time! So today i decided to work on a small project involving picture frames! Since I’m trying to deck it out with yellow and grey (and being rather unsuccessful) i decided to take matters into my own hands. Welcome to my office! 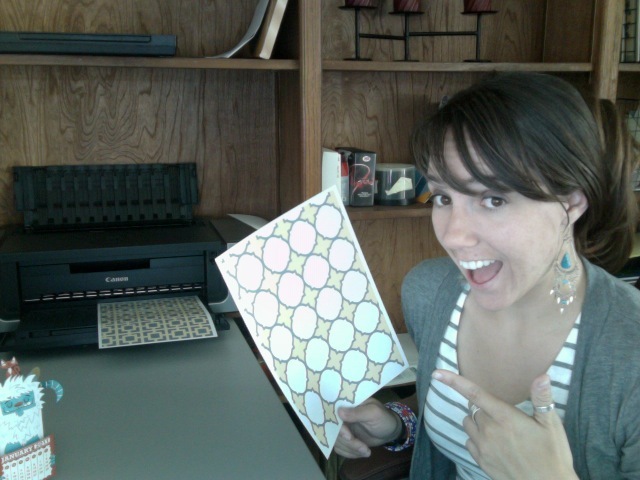 I may or may not have used my work printer to print out some designs i made… shhh, don’t tell. i use inspiration from random patterns i found online and made my own on illustrator in, you guessed it, yellow and grey! Can you see my little yeti in the bottom left corner? i love that lil guy. I’ll post ALL about where these guys are going soon! I adore the combo. 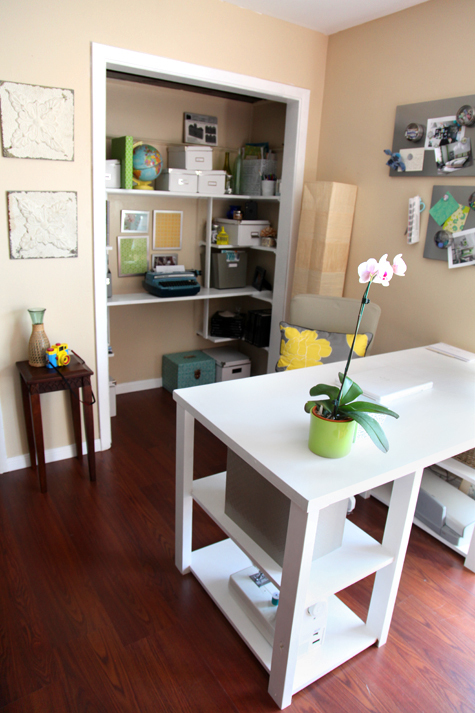 So, of course… I’m redoing my art studio and office in yellow + grey! Here is my “dream setup” and gives you an idea of whats goin on in my mind brain. A. 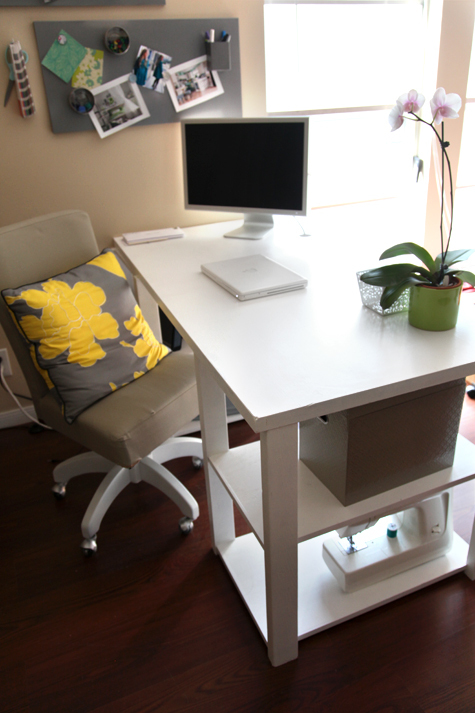 Hand build desk similar to this guy by West Elm, Ana White shows you step by step instructions on how to build your own for MUCH cheaper here. 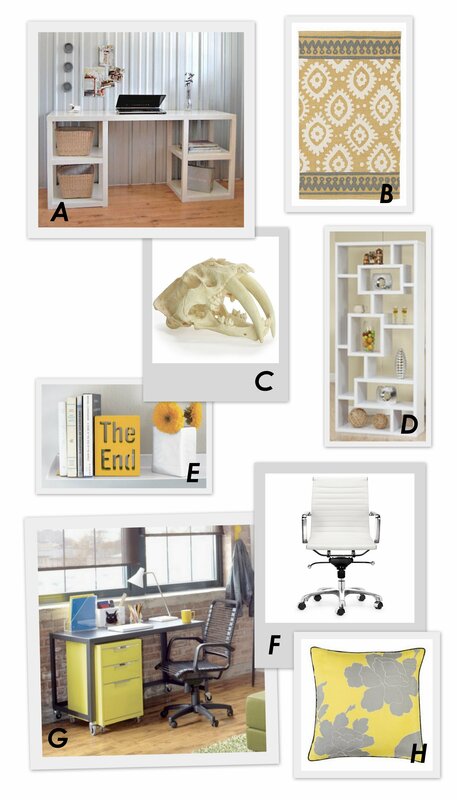 Considering i have a ton of built in shelving and really dont need a sabertooth scull (though i think it would REALLY help me get inspired… somehow) this is just fun inspiration. Hopefully i’ll be able to post the before and afters soon! So in my last post, i mentioned how much i loved this chair. Still do. Wallet doesnt. 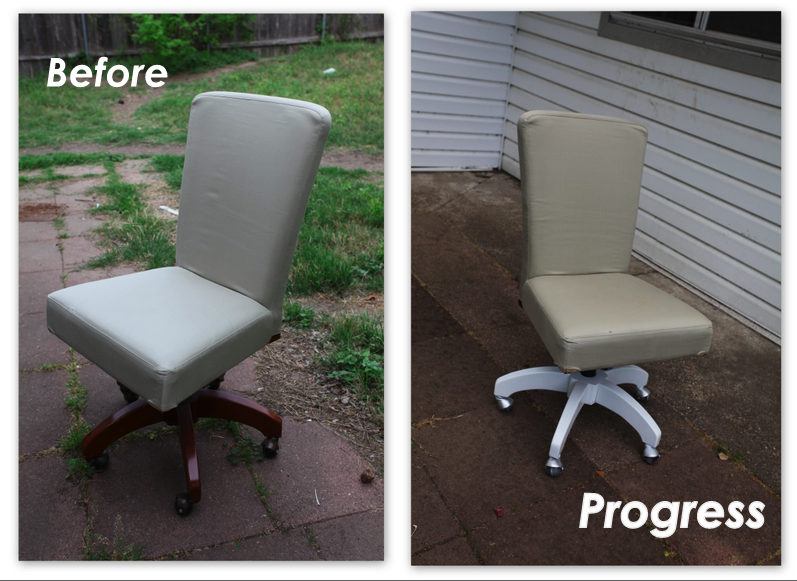 So to Craigslist i went and found this lovely chair posted for $40 bucks… and guess who got it down to $25! 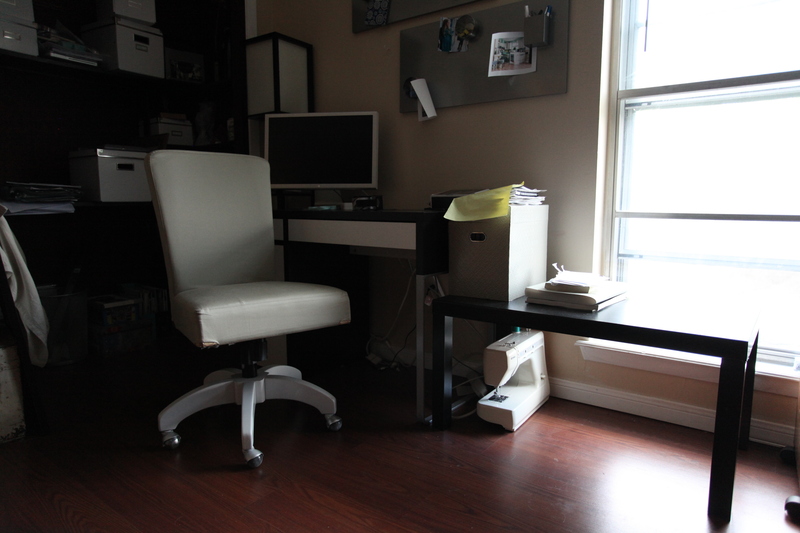 What i like the best about it is that its a very cushioned, comfy parsons chair… with wheels! So today, my main focus was to say bye bye brown! 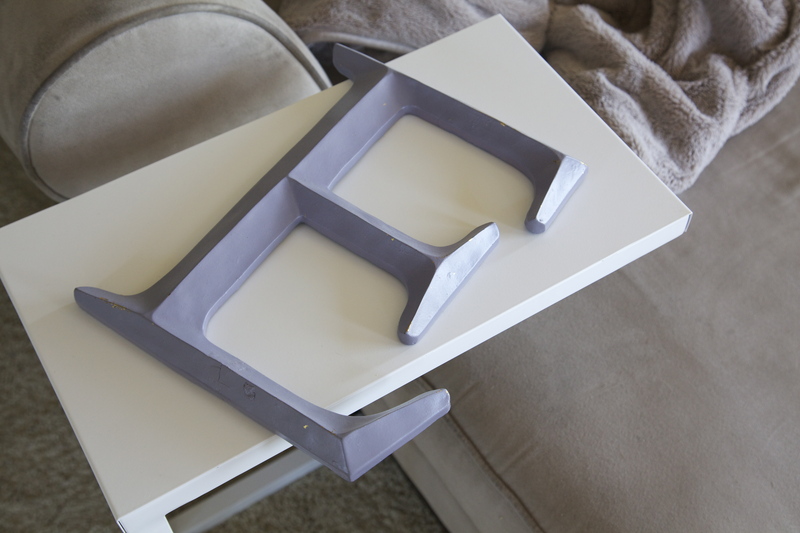 Step 2: Remove legs from chair. EPIC FAIL The screws were all horribly stripped and really didnt want to let go. So i quit trying. Step 3: Remove wheels. SECOND EPIC FAIL I’m really not sure how those suckers were even put on. It might look like a philips but it definitely was some crazy contraption meant to never be removed (for now). So i quit again. It definitely would have been a lot easier if i could have taken everything apart but let me tell you… it just refused to let me. So out came the plastic bags and tape. I’ve used Krylon for just about everything. 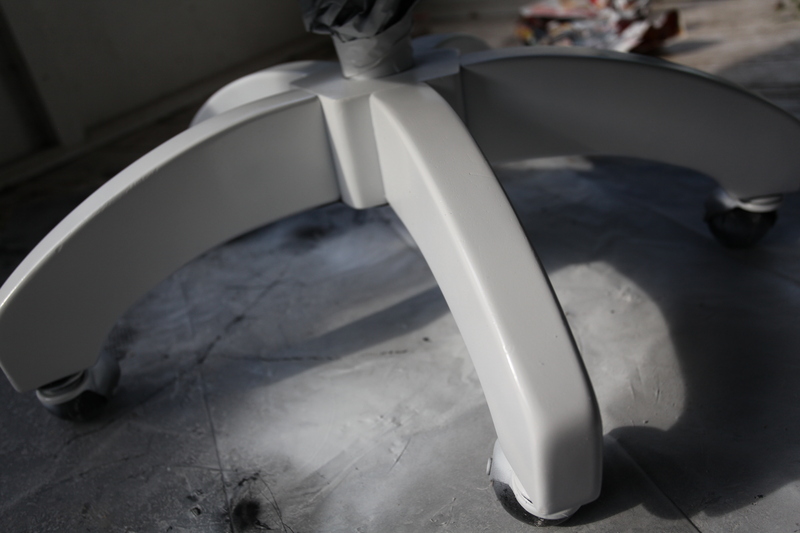 This was a plain glossy white… I usually dont like a lot of high gloss when i spray paint, but this was definitely an exception. Its really more of a Satin/gloss. Keep in mind, use THIN layers and use quite a few layers. 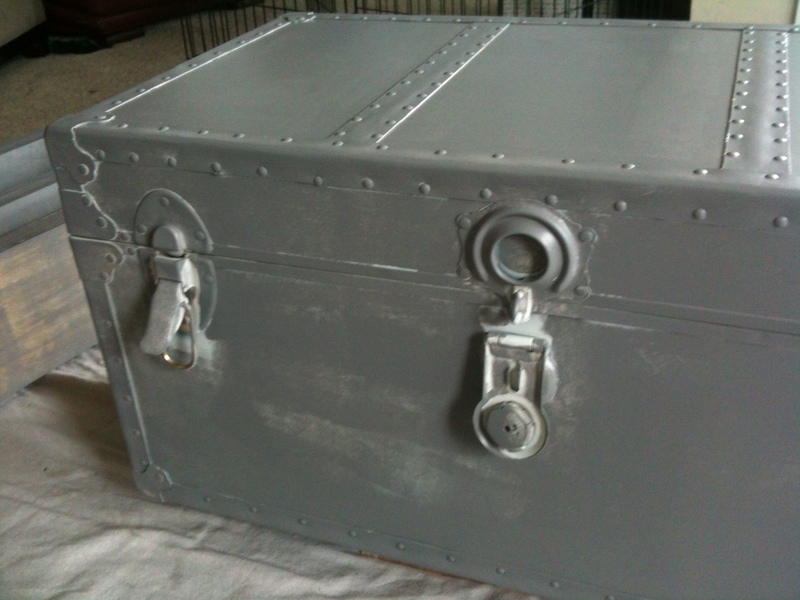 Especially with a piece like this, i would do an incredibly light layer of paint, wait 1 minute and do it all over again. Takes some time but then it really comes out beautifully with NO DRIPS! 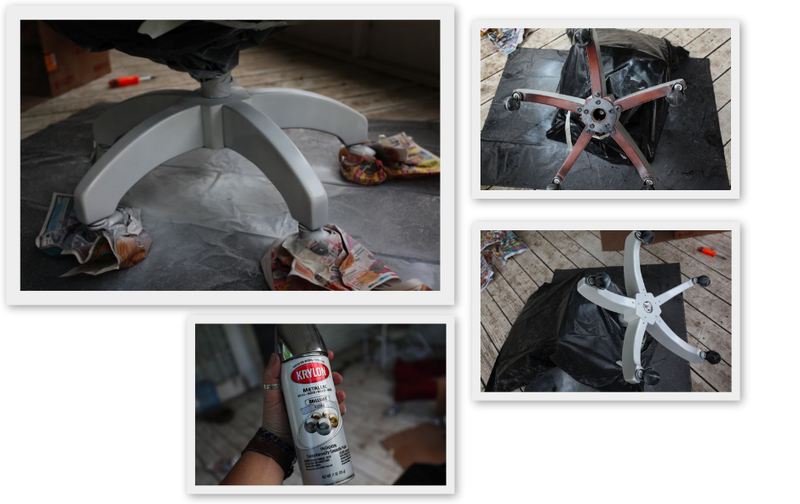 I also flipped the chair over to paint underneath since you could see the sides it missed from the top. I then used Krylon Metallic silver for the wheels. They were sort of an off color bronze that just wouldnt look very good with the new fresh legs. I’ve never tried metallic before so i was definitely hesitant… but this was a last effort to attempt to salvage the wheels. Just check out those beautiful legs! I know… not a huge before and after – but this is step one, people! Definitely looks heaps better than what it did before here. I love how much one piece adds to a room. 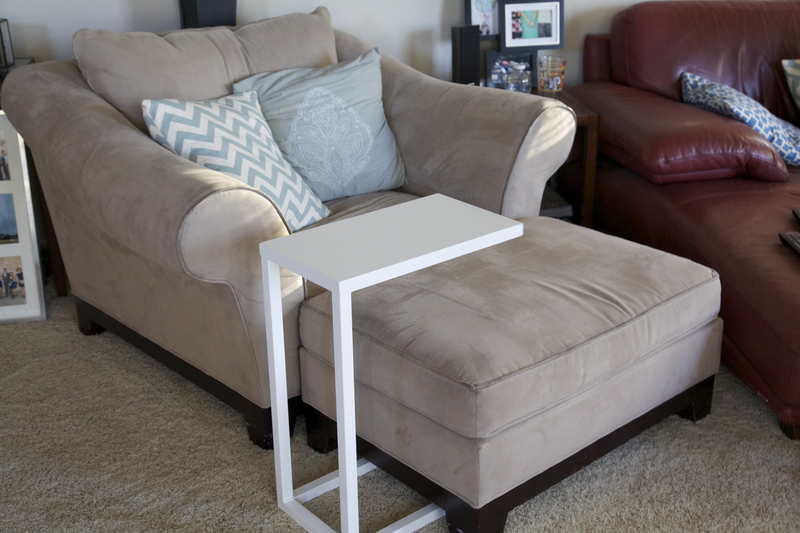 PLUS its 1000000x better than sitting on that dang ottoman. It was so low i felt like i could barely see over the top of the desk! I’m on the search for some good fabric. I’m really digging grey and yellow right now and I will either go that route or find a good patterned neutral and attempt to sew a new slipcover. Note: Check out my fresh new sewing machine i won in a Goodwill auction for 20 bucks! AND works beautifully! Double Note: I am very inexperienced with sewing. 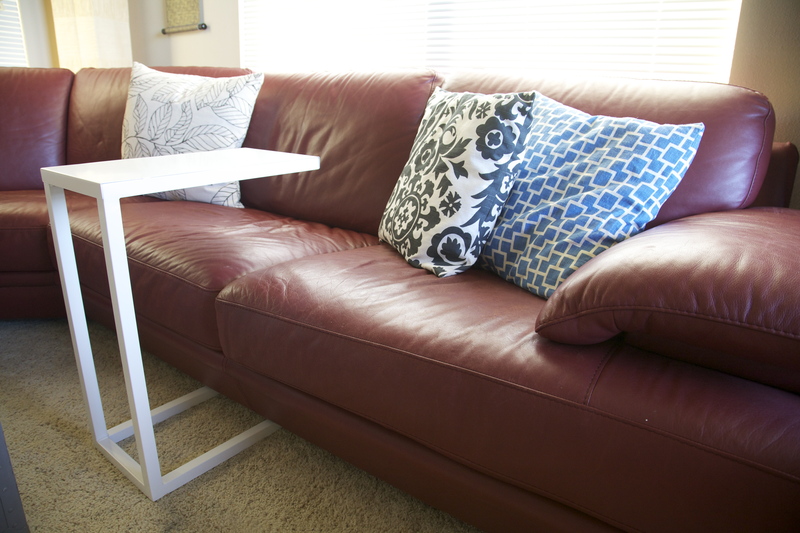 The first and only other thing I’ve sewn was the cushions for my outdoor sectional and chair here. So heres some fabric I’ve been shopping for. How About Orange just came out with a new line of fabrics that i adore! 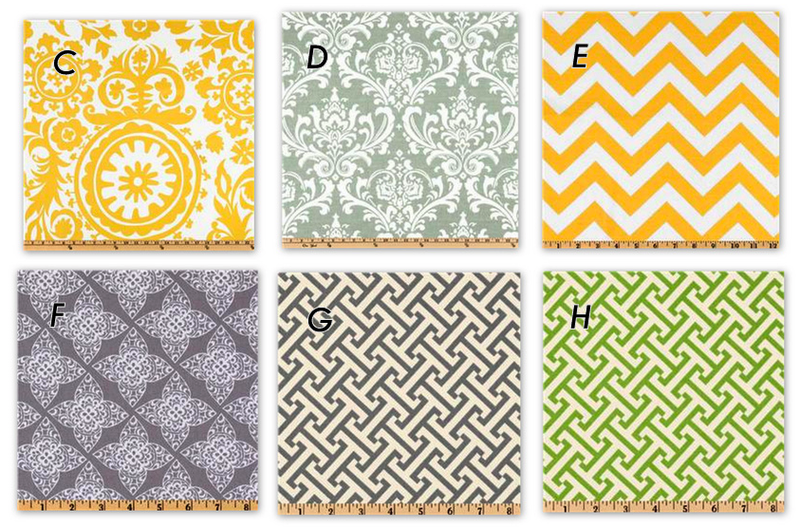 Option C: Premier Prints – Definitely a bright bold yellow pattern! 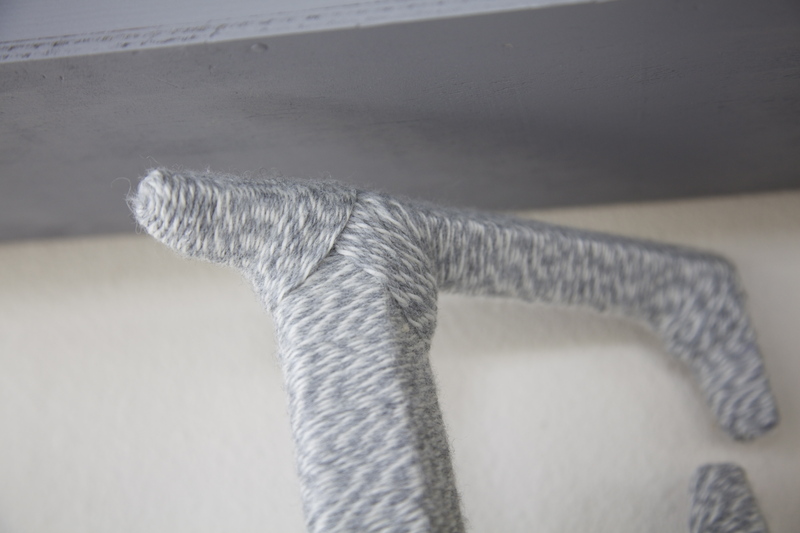 Option D: Premier Prints – This is a light grey though it looks much more blue in the image. I think this pattern is a little “safe”. Option E: Premier Prints Chevron – Always a fun pattern and I’ve definitely been seeing this style lately. Option F: Ty Pettington – This is one of my favorites but OF COURSE the most expensive as well. Click on it larger to see the pattern a little easier. Option G & H: Both Waverly Cross Section fabrics. Again, grey might be the easier route to go incase of any future changes but green would be bold, fun and eye catching. Any votes?! Help me out!